The Feuerle Collection is pleased to announce the official opening of The Incense Room with an exclusive opportunity to take part in a Chinese incense ceremony and an unprecedented glimpse into this sophisticated and evocative ritual. As one of China’s oldest traditions, dating back over 2,000 years, the practice of the art of incense is a spiritual discipline once reserved for scholars and high monks, Emperors and dignitaries of the court. The Feuerle Collection is the first art museum to present the theme of Chinese incense culture and the only place in the world where the incense ceremony is introduced as an artistic practice, part of a curatorial work in dialogue with, and surrounded by, ancient and contemporary art. Based on the traditional knowledge of Chinese Incense Masters, The Feuerle Incense Ceremony was created by Désiré Feuerle, collector and founder of The Feuerle Collection. Dedicated to sharing this unique experience with the West, The Incense Room at The Feuerle Collection complements the synaesthetic concept of the museum. For this purpose, John Pawson has designed a special ceremonial table together with renowned Chinese incense culture experts and Masters of the art of Chinese wood furniture. The ceremony involves the use of precious incense within a ritual exploring the relationship between the scents, the senses, the human spirit and nature, revealing the high level of sophistication to which Chinese culture arrived. Following his fundamental vision and synaesthetic approach, with the opening of The Incense Room, Désiré Feuerle completes his Gesamtkunstwerk of juxtapositions. Since the nineties, his ongoing and ground-breaking work has focused on perfecting artistic juxtapositions with the aim of creating an innovative perspective for experiencing art. The vision of The Feuerle Collection is to create a total artwork, a Gesamtkunstwerk. It breaks with the traditional way of showing art and removes barriers between cultures and ages, the importance of past and importance of today. It leads the spectator to a different way of experiencing art through the senses. The artworks must speak for themselves, without labels, to bring the visitor into another world. A world with different cultures mixed in one space, art from contemporary to ancient, ignoring the importance or age of each piece, letting the artworks correspond with the visitor and creating a new artwork. The contemporary artwork becomes timeless, the ancient becomes contemporary, the two different artworks fuse with one other and create a new imaginative feeling. It is my intention to ignore definitions like contemporary, modern or antique. The different cultures create similar feelings or contradict the classic perspective; looking at an art piece as it is juxtaposed with something you would not expect or with something that perhaps even breaks the harmony and, through that, creates a new perspective for experiencing art. This toxin free antibacterial cleaning spray makes it easy to keep germs at bay. Simply spray, wipe, and smile! Over the course of a single day, your family is exposed to billions of bacteria. The air that you breathe and every surface that you touch exposes you to microscopic germs, so even if it looks clean, you might be at risk. This includes the door handle, steering wheel, copy machine, phone, keyboard, light switch, ATM, and table that you touched in a single morning. Support your body’s natural defenses against germs and microbes by reducing the spread of bacteria at the source. The [INSERT BRAND] Daily Spray allows you to clean your home with confidence, knowing that your surfaces don’t just look clean – they’re also hygienically clean. The food-safe antibacterial spray also doubles as a powerful surfactant, so in addition to killing bacteria, it works hard to break up tough dirt, grime, and grease. Spray and wipe down the non-porous surfaces of your home in the kitchen and bathroom for daily chores. You can also deep clean the objects that you touch all day to protect yourself and your family including remote controls, hard toys, door handles, light switches, keyboards, telephones, and more. Like all [INSERT BRAND] products, this Daily Spray is safe for your body and the environment. The biodegradable cleaner is made with the most essential ingredients and is free of SLS, SLES, PEG, DEAs, parabens, artificial perfumes, synthetic colors, and palm oil. Plus, it’s cruelty-free and never tested on animals. Clean your way through the day and protect your home against the lurking dangers of germs, microbes, and bacteria that you can’t even see with the [INSERT BRAND] Daily Spray. The refreshing, cool scent of pure Australian-grown eucalyptus will calm your senses and reinvigorate your mind as you spray your way to a healthy home. 1. ECO-FRIENDLY: Toxin free ingredients combine with pure Australian-grown eucalyptus oil to create a biodegradable, grey water-safe formula that is free of palm oil and harmful additives. 2. NATURAL SCENT: Refreshing eucalyptus is bright and invigorating without any artificial perfumes to aggravate allergies or settle in the air. 3. RESPONSIBLY MADE: The cleaning spray is made in Australia for our family and yours without the use of any harsh chemicals. Uplift your senses with the natural scent of pure lemon myrtle that is grown and distilled in Australia. The natural oil delivers a bright citrus scent that is subtle and sweet. As you spray and wipe throughout the day, the natural fragrance of lemon myrtle will help you stay energized and optimistic. The WPPI is regarded as the Academy Awards of the photography industry. Each year, WPPI receives numerous entries from professional photographers throughout the world. A WPPI award is a mark of distinction among professional photographers. WPPI winners include many of the world’s leading photographers such as Sue Bryce, Kelly Brown etc. Katie (Yu-Hsin Chang, 張鈺心) stood out in the 2017 WPPI First Half Newborn Division and won the third place. Katie was the first photographer in the Vancouver area as well as the first Taiwanese photographer to win a WPPI award in the Newborn Division. (For a Taiwanese newborn photographer) It is indeed a great encouragement for Katie on her career path to receive such international recognition. In addition, her daughter’s participation in the work made winning the award extraordinarily precious to her. My daughter was in a raincoat and rain boots jumping excitedly around her new discovery— a little puddle. We bent down and carefully looked for some perfectly-shaped maple leaves. She picked them with her tiny hand one after another, placing the leaves gently in a wooden basket. Red, yellow, orange and magenta. Raindrops fell on the top of her teeny-weeny nose and itty-bitty cheeks. “Mommy, it’s cold!” she giggled. The hydrangeas once blossomed in the summer were dried out and their color had faded into a tint of pale brown. We cut a few stems and put them in the basket. We went home and washed the maple leaves and there was a feel of autumn remaining in the air-dried leaves. The slight contented smile lingering on my daughter’s sleeping face seem to warm and melt my heart. I carefully contrived the composition I wanted in my mind and laid out the picture over and over, checked every detail, studied the position of every single leaf, and… there it is! Newborns still retain the shape and the look they had in the womb; their curling bodies, fine lanugo hair and little cherry lips are precious subtleties preserved from mothers’ womb. To record this particular state after ten-months pregnancy is called newborn photography. Once they are born, babies are growing every second. Throughout their life, only during the first ten or so days will their shape, flexibility and deep-sleeping condition remain as in the womb; therefore, the best timing for newborn photography is 5-12 days after a baby is born. After 2 weeks, babies grow rapidly, sleepless, their flexibility decreases, and they start to react to outside stimulation. As time goes, it will be more and more difficult to capture the precious posture and subtleties retained from the womb. We will start setting up the studio an hour before our clients arrive. The temperature will be controlled between 28°C(82°F) and 30°C(86°F) to keep babies warm in a relaxing environment good for sleeping. All the wraps and clothes will be thoroughly disinfected each time after use. We play soft and peaceful music in the studio and use white noise from air purifiers to cover the camera’s shutter sound so that infants won’t be scared. Mothers can relax on the couch and watch the entire shooting process. The first styling will focus on wrapping. After babies are wrapped with flexible and soft fabrics, they will feel very comfortable and fall into a deep sleep, and from there, our photo shoot will begin. A bright and soft natural light casually overlays the setting as gently as feathers. All the elements are taken from nature: rambling wisteria, seeds of bald cypress, tulips just blossomed in the spring, summer hydrangeas, autumn maple leaves. All together they create a series of pleasing pictures. You place the apple of your eye next to where your heart pulses, and let the camera capture this perfect moment of the newborn. The mother gently embraces her baby in her warm arms, tenderly guarding the newborn as she did during ten-months of pregnancy. With his firm strong hands, the father supports bundles and lifts the newborn, as he will for a lifetime. and record this particular time which, if missed, can never be retrieved. Experience Years of translation experience: 5. Registered at ProZ.com: Jun 2018. Became a member: Aug 2018. •	English and Architecture graduate with nearly 5 years’ translation and curation experience. •	Professional English-Chinese translator with the ability to translate, edit and proofread copy swiftly and meet tight deadlines. •	Successfully completed a 380,000-word count of translation projects. •	Passed the TransPerfect marketing translation test. •	Four-years’ experience of writing press release translations for the Chinese publishing market. Jamie Ma, born and raised in Taipei, is a passionate Chinese linguist enthusiastic about languages. Raised in an academic family, she started learning English at age six and continued to have the privilege of learning overseas. Yearning to master in the English language in its music and culture, she has lived in several English-speaking cities including Sydney, London, and California, and moved to Brooklyn, New York in April 2016. Holding a BA in Applied Foreign Language, majoring in English, and a Bachelor of Architecture, Jamie has practiced as a translator for nearly five years. She specializes in exhibition and marketing translations. Her clients include European Union Centre in Taiwan, Taichung City Government, and many of the most renowned national art organizations in Taiwan such as AGA Taipei Art Economy Research Center, National Taiwan Craft Research and Development Institute, and Taiwan Design Center. She has also intensively worked with national museums including the Gold Museum, New Taipei City and the chief human rights museum Memorial Foundation of 228. 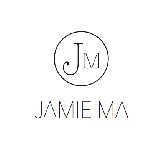 Besides, Jamie is a fiction writer and columnist on a Taiwanese online publication, SOSreadrs. 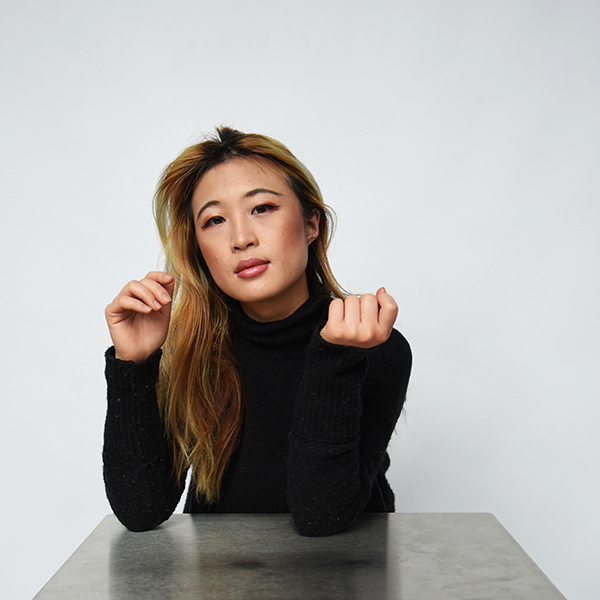 With a good balance between writing and translating, she is now living in the dynamic and vigorous New York City working earnestly every single day. -	Translated projects in the exhibition and curation fields for clients including The Feuerle Collection, Berlin, Gold Museum, AGA Taipei Art Economy Research Center, National Taiwan Craft Research and Development Institute, and Taiwan Design Center of an approximate 100,000 word count. -	Wrote the book review of The Power by Naomi Alderman for Chi Ming Publishing Company. -	Translated marketing documents for organizations including attoDeesse International Limited, Addweup, Great Walker Travel, Tea Sanity and Katie Cloris Photography of an approximate 50,000-word count. -	Translated school application documents of an approximate 25,000-word count. -	Translated the subtitles of two films for Taipei National University of the Arts. - Translated other documents such as recipes and artists’ biographies of an approximate 20,000-word count.